They say "Diamonds Are Girl's Best Friend" and I absolutely agree with that as I have never met a girl who doesn't love diamonds. Last week we had a private tour of the De Beers store at KLCC and had a chance to preview their Dewdrop collection and a few other precious items. So read on and to find out more about the new collection and some of my favorite pieces. 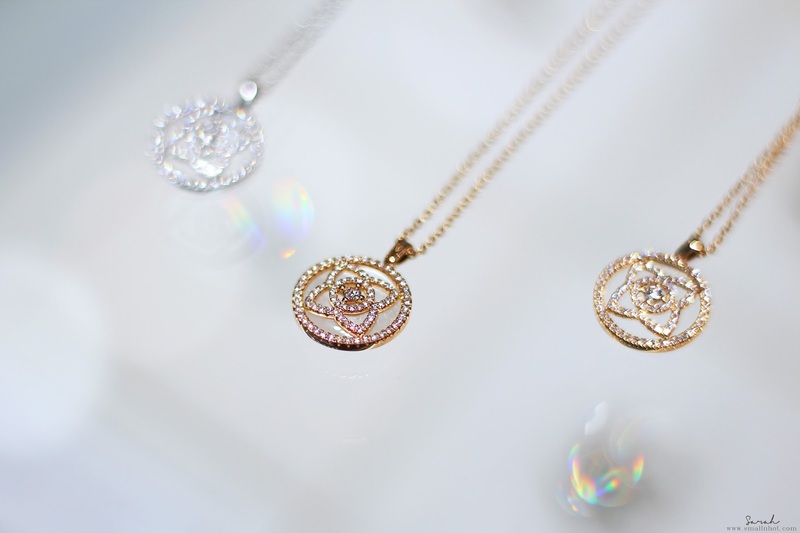 The iridescent sheen of the Enchanted Lotus Mother-of-Pearl pendant is reminiscent of the sunrise with which the Lotus Flower is reborn each morning. 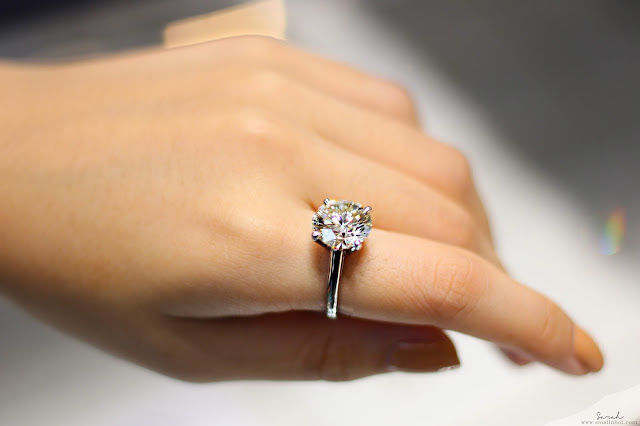 Other than wearing it as it is, you can also turn it over and wear in reverse revealing a discreet Round Brilliant diamond for a simple and sophisticated look. 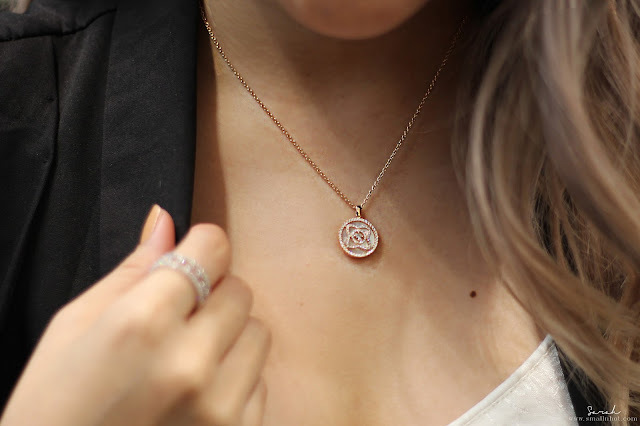 A versatile piece that will definitely go with any outfit and any occasion. Enchanted Lotus Pendant comes in White Gold & Pink Gold too from $ 2,300. 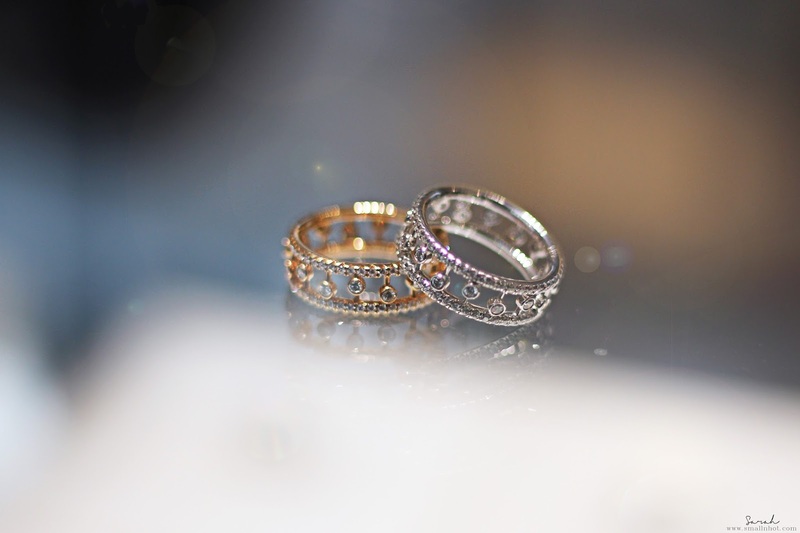 The design of this Dewdrop Pink Gold & White Gold Band was inspired by fresh drops of dew that delicately adorn natural foliage at the dawn of a new day. 112 diamonds are artfully set in 18K pink gold to echo the beauty of morning dew. I love these beautifully simple rings and they would make a beautiful gift for someone who likes simple yet classy jewellery. This Dewdrop Earrings was also inspired by fresh drops of dew that delicately adorn natural foliage at the dawn of a new day. Crafted in white gold, these hoop earrings feature 80 diamonds totaling at 0.72 carats. 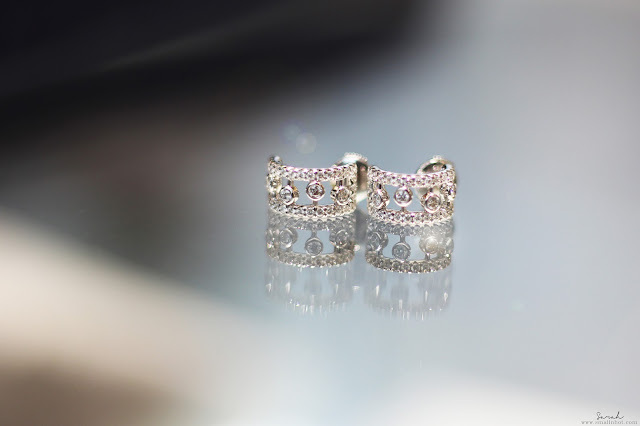 These earrings are adorable not only because of it's classy design but also it's very light and comfortable to wear, it keeps your ears looking dainty. A wide selection fine crafted pieces with colour and clarity grades are available in store. 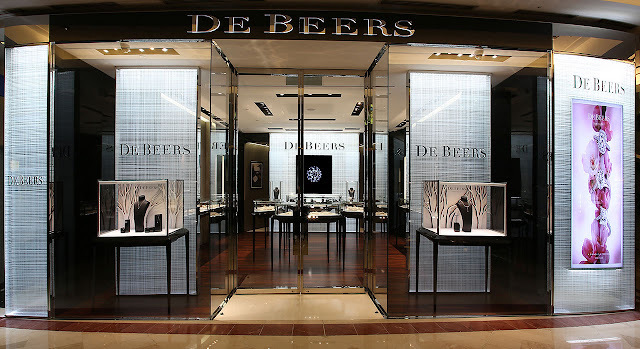 So do drop by the De Beers store at Suria KLCC to fine that special something.